CELES is a fast MATLAB code for the multi-sphere T-matrix method implemented by Amos Egel, Lorenzo Pattelli and Giacomo Mazzamuto. It runs on NVIDIA GPUs. 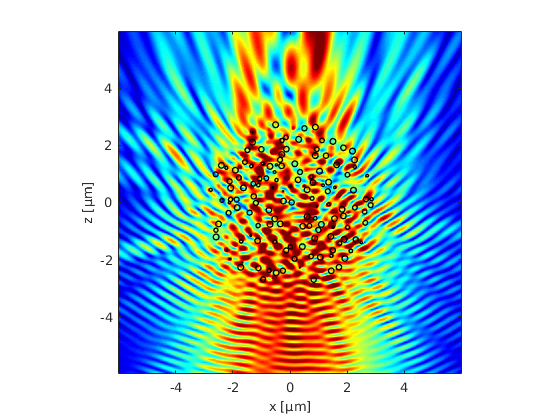 The aim of the software is to solve light scattering problems comprising very large numbers of spherical particles.